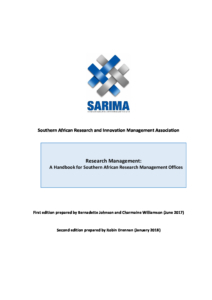 SARIMA is a membership organisation of practitioners managing and supporting activities in the continuum from Research to Innovation. It is focussed on the SADC region at an institutional, national and international level. Join SARIMA and become part of our network. © Copyright - SARIMA. All rights reserved.